MOHEGAN SUN CASINO – is it just another online casino or are they the real deal? Mohegan Sun Casino first began life in 1996 as a physical casino based in Connecticut. Owned, managed and run by the Mohegan tribe of Native Americans, the brand expanded in 2006 with another casino, this time based in Pocono Downs, Pennsylvania. The Mohegan brand finally moved into the digital world in 2015 when they established Mohegan Sun Online Casino in New Jersey. With over 2 decades of experience in the casino world to draw from, Mohegan Sun has built an enviable reputation thus far. The site has become known for continuously adding new game titles to their already extensive library. The consistent flow of new games has helped the brand stay relevant and popular in the highly competitive online gambling market of New Jersey. Today we will be taking a closer look at the games, bonuses and mobile apps offered by Mohegan Sun and see where they fit in the pecking order of New Jersey’s online casinos. As previously mentioned, Mohegan Sun are always adding new titles to their list of available games. However, at the moment their selection of 450 games in total is regarded as being below par when compared to their NJ online casino competitors. Mohegan Sun has a large slot selection and an average choice of video poker options, with the only table games on offer being blackjack and roulette. Thanks to their constant additions, Mohegan Sun is 1 of only 2 operators to offer more than 300 slot titles. The only other operator to match their variety with this type of game is Golden Nugget. 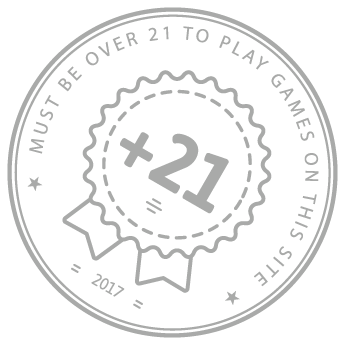 This astonishing number of games is growing weekly, making this a site that should be visited on a regular basis. Most online casinos in New Jersey seem to struggle with their selection when it comes to video poker games. Mohegan Sun seems to be actively improving this area of their game library with a selection that has grown from just 6 games a year ago to 18 games today. While it might not be the widest video poker selection in the state, it is close. Since 2016, Mohegan Sun has only added 2 new titles to their list of table games. While this might be seen as a lot for the majority of online casinos in NJ, it pales in comparison to the additions they boast in their other game categories. That being said, they do offer 17 table games of which 8 are blackjack games, 6 roulette games as well as a single variant of 3 Card Poker, Let It Ride and Baccarat. All new players who sign up with Mohegan Sun using our big button above qualify for one of the biggest first deposit bonuses in New Jersey. The house will match your first deposit up to an amount of $1000. As you can imagine, with a bonus this big, there are some fairly strict wagering requirements. If you will be playing slots, you will have to wager the bonus amount x20. With video poker and table games the wagering amount is x100 the bonus amount. This means that you will have to do quite a bit of winning to be able exact any sort of profit from the bonus. But if you are planning on playing quite a lot anyway, it is a great way to improve your odds thanks to some free money. 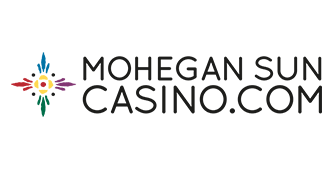 Mohegan offers punters an iOS and Android app version of their site. The apps have over 250 games, significantly more than the app offerings from all of their competitors. It also gives users access to info about restaurants, hotel room reservations, upcoming events, shopping, promotions and more. It is definitely an app worth downloading if you prefer to game via your smartphone or tablet. Mohegan Sun Online Casino is definitely one of the better online casinos in NJ. Especially for slot players. This is an operator that is only likely to improve over time and I would be shocked if they have not become one of the biggest online casino names in just a few years.